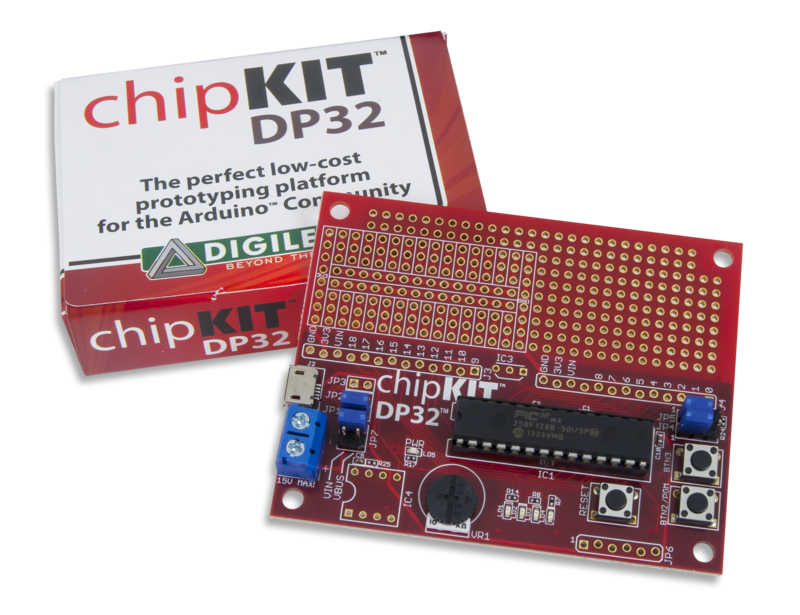 The DP32 is a MPIDE compatible prototyping and project development board from Digilent. It combines the power of the Microchip® PIC32MX250F128B with a wire wrap prototyping area, provision for an EEPROM non-volatile memory, an analog temperature sensor, a potentiometer, buttons, and LEDs, all in a single board. The mounting hole footprint on the board is designed to fit in the Hammond 1591XXSSBK project box. The DP32 takes advantage of the powerful PIC32MX250F128B microcontroller. 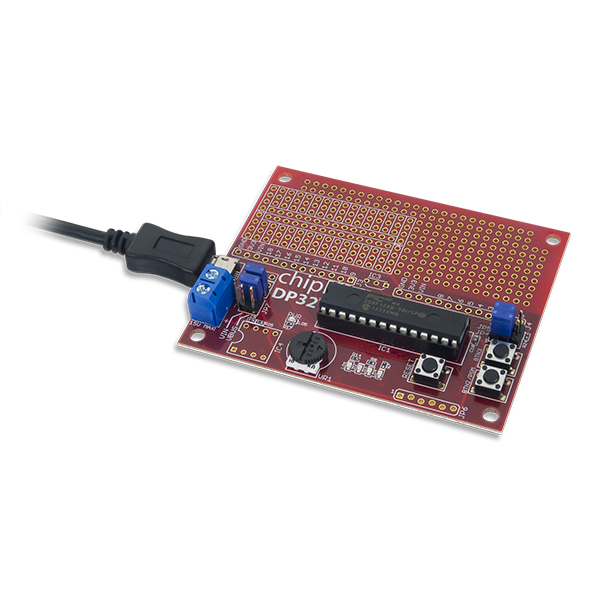 This microcontroller features a 32-bit MIPS processor core running at 40 MHz, 128K of flash program memory, and 32K of SRAM data memory. It is suitable for building projects directly on the board utilizing the provided prototyping area, but it can also be used as a device programmer to program the microcontrollers for inclusion in custom built projects. The DP32 can be programmed using the Multi-Platform Integrated Development Environment (MPIDE), which supports the PIC32 microcontroller. 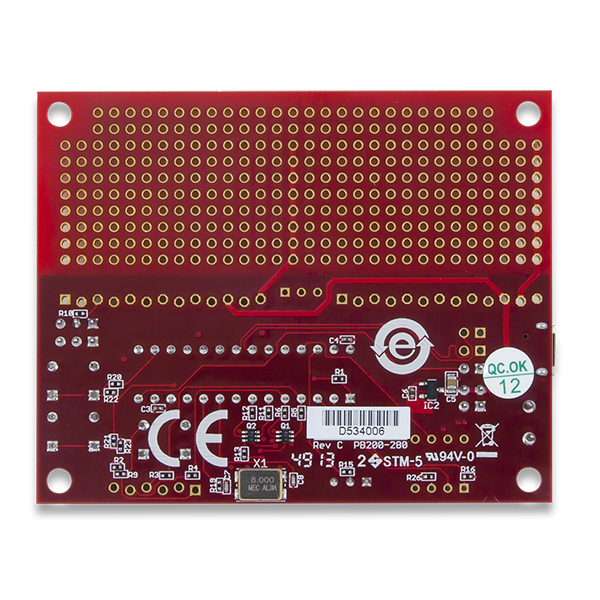 The board provides everything needed to start developing embedded applications using the MPIDE. To download MPIDE, please visit http://www.chipkit.net/started. 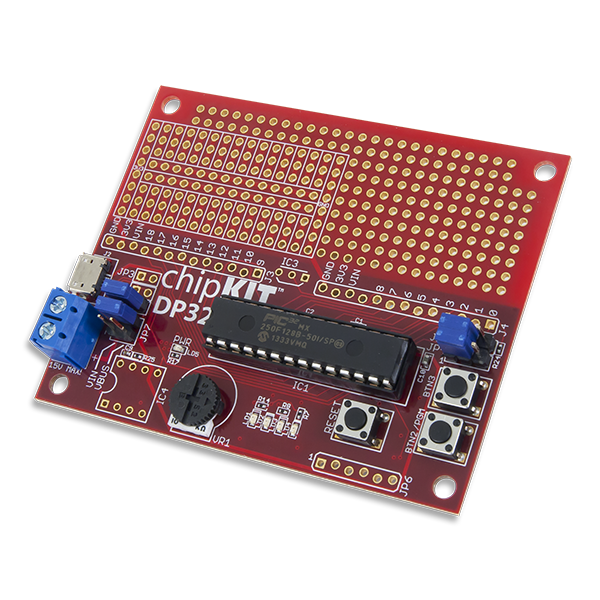 The DP32 is also fully compatible with the advanced Microchip MPLAB® IDE. 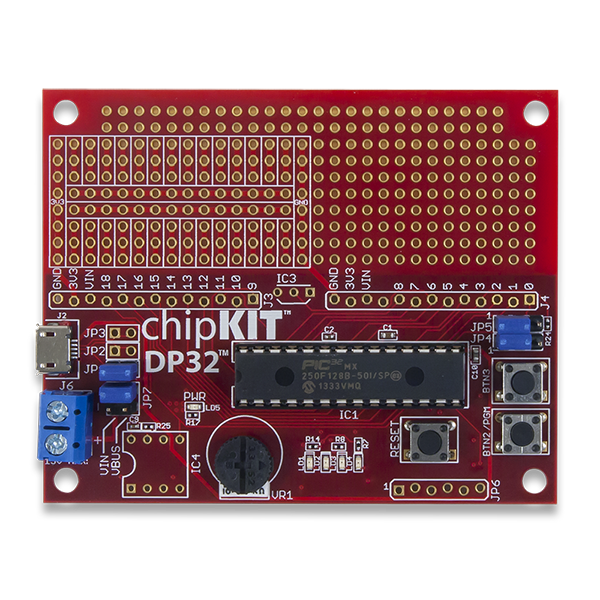 To develop embedded applications using MPLAB, a separate device programmer/debugger, such as the Digilent chipKIT PGM or the Microchip PICkit™3 is required.